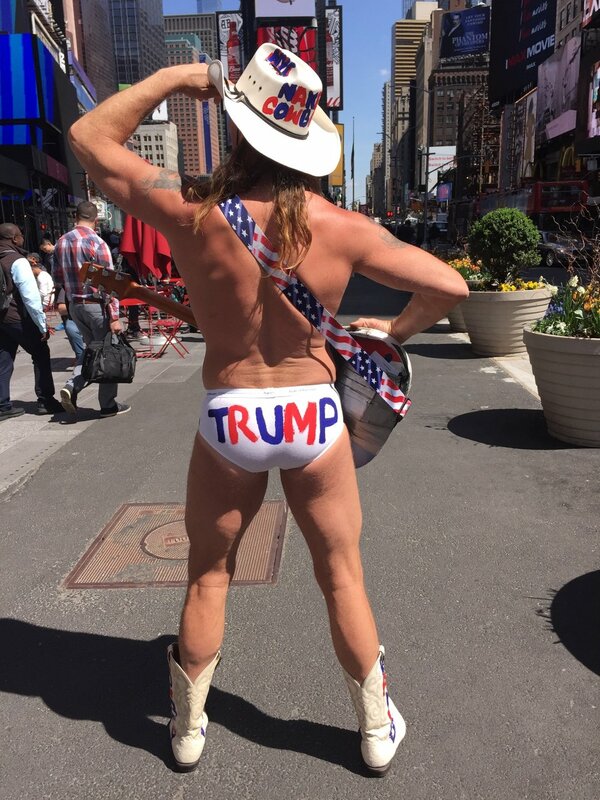 New York City’s Naked Cowboy, whose actual name is Robert John Burck, engaged in his own protest Thursday as thousands of anti-Trump activists swarmed Times Square. As a MoveOn.org-organized protest saw hundreds of New Yorkers protesting President Trump’s firing of Attorney General Jeff Sessions, the Naked Cowboy sang against the tide, belting out pro-Trump songs. “‘Making America Great Again:’ How could that be a negative slogan?” the Naked Cowboy said. The Naked Cowboy also has political experience himself. In 2009 he announced his mayoral candidacy against Mike Bloomberg. "No one knows how to do more with less than yours truly, and that's the kind of thinking I plan on sharing with my fellow New Yorkers when you elect me," he said. And in 2010, The Naked Cowboy said he would run against President Obama on a “very conservative,” Tea Party platform.